Twelve narratives, twelve narrators, twelve genres and twelve fictional worlds collide to spectacular effect in Paul Glennon’s The Dodecahedron, or a Frame for Frames. The second book from the author of How Did You Sleep? takes his adventures in short fiction to strange new regions, where professional polygamists, heretical alcoholics and hallucinating arctic explorers find themselves sharing plot points, character traits and dialogue. At turns philosophical and farcical, The Dodecahedron makes for intriguing, compelling reading. Each of the book’s twelve chapters has its own style and apparent fictional autonomy, but every narrative finds itself corroborated or undermined by the next. Messages found in bottles, computer-generated dialogues and the lamentations of the world’s last genie shouldn’t have much in common, but their paths constantly intersect in The Dodecahedron, creating networks of allusions and contradictions. The Dodecahedron revels in the art of story making and proves once and for all that the geometry of the dodecahedron is a rich source of comic fiction. Why Are There No Penguins? When I began to write this book, I was thinking very much about the geometry of short story collections. Many modern short story collections have a larger structure that provides continuity and makes them read like novels. They are conceived as whole books and have a unity beyond a simple miscellany of tales. Characters or ideas progress through each subsequent story until the final story provides a resolution, or at very least a point of perspective from which to look back and re-evaluate the previous stories. Frequently these collections have a cyclical geometry, where ideas introduced in early stories are resolved or recast in the final story. I wanted to produce something that shared many of these qualities. Each chapter was to be as self-contained and whole as any short story. Like a story cycle, each story would cast a new light on the ones that preceded it, and promote novel like unity of themes. What I did not want to write was a cyclical book, in which the final story is the final word, a story with more authority than all others, one that casts a sort of judgement on the rest. I was aiming for something more ambiguous than that. From the start, my intention was to write a book on the subject of perspective, a book in which any one of the stories could be taken as the starting point or the endpoint of the collection, in which each was capable of exerting that conclusive judgement usually the sole prerogative of the final chapter. I wrote a book based not on the geometry of the circle, but on the geometry of the dodecahedron. I’ll get back to that, but first a word from the French. This book is constructed on mildly Oulipien principles, that is on the principles of the Ouvroir de la Littérature Potentielle (OuLiPo). OuLiPo is a group of mostly French authors who create literature based on highly arbitrary constraints of their own making. Amongst the most famous of these are Georges Perec’s La Disparition, a novel written entirely without the letter E and Raymond Queneau’s Exercises de Style in which the same object is described over and over in different rhetorical styles. The most obvious model for A Frame for Frames is another Oulipien text -- Italo Calvino’s Se Una Notte D’Inverno un Viaggiatore, a novel composed of a conspiracy frame story and ten first chapters of hypothetical books. The arbitrary constraints I put on myself while writing A Frame for Frames emerge from the geometry of a dodecahedron. I envisioned a book in which each of the twelve chapters or stories represented a face of the dodecahedron. A dodecahedron’s faces are pentagonal, each a five sided polygon. In A Frame for Frames these sides represent a relationship to an adjacent story. This was the first constraint. Each story must refer to or be referred to by each of the five stories adjacent to it. These references to and from adjacent stories provide the shifting perspectives of this book. Any face of the dodecahedron may be taken as a starting point from which to evaluate the adjacent sides. A dodecahedron has twenty vertices, points where three sides meet. In A Frame for Frames these vertices are represented by certain repetitions and recurrences in each of the three stories that meet in these points. If the elements that represent the vertices were extracted and placed in the order of their first appearance, they would form another text of sorts, which might provide another perspective for evaluating the whole. The order in which the stories unfold is somewhat arbitrary. Any one could have been the first story, but once that choice was made their sequence was governed by a predetermined pattern. I considered only two patterns. The most obvious was the ‘orange peel’ sequence, using the pattern by which you can remove the peel of an orange in a single strip, by proceeding around it in a spiral. This would have produced a spiralling away from the themes and subjects of the first story to the point where the last story had no edges or vertices in common with it. Instead I went around two strips around the top and bottom hemispheres (or perhaps more properly hemihedrons), but left the top and bottom pentagons until the end. This saved one reference to or from each of the first five stories until the eleventh story, a goal which is supported by no other constraint than the author’s desire for another kind of unity. 1. The twelve narratives in The Dodecahedron have been said to be part of a ‘‘kaleidoscopic puzzle-novel’’, and Glennon says that ‘‘the order in which the stories unfold is somewhat arbitrary’’ -- if you were to rearrange the narratives into a new order, which would go first? How would this affect the way the narratives interact? 2. Much of The Dodecahedron deals with issues of false selves and untruths, often on the part of the narrator. Did you find particular narrators problematic or untrustworthy? How does this affect your understanding of that story, or of the book as a whole? 3. In what ways does The Dodecahedron play with and problematize perceptions of history and fiction? How does history intersect with fiction throughout the book? 4. 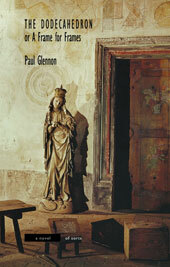 Glennon uses a number of techniques to render some characters’ perspectives inaccessible to readers (for example, the one-sided conversations in ‘‘The Parlour Game’’) -- which of these ‘‘absent voices’’ are you most curious about, and why? What role does their voicelessness play in the narrative? 5. The book’s subtitle, A Frame for Frames, hints at how these sories are interconnected. Did one particular story jump out at you as a more obvious ‘‘frame’’ for the others to you? Or, more interestingly, did one seem somehow less connected to the whole when compared to the others? Think about the book as a whole through this less likely frame -- how does it change the way you think about it? 6. Motifs of consumption pervade the stories within The Dodecahedron, most obviously in ‘‘In My Father’s Library’’ -- which other figures act as ‘‘consumers’’ of others? Who, or what, is being consumed? 7. How are history and memory ‘‘rewritten’’ as The Dodecahedron progresses? How do you, as a reader, reconcile contrasting versions of the same narrative? 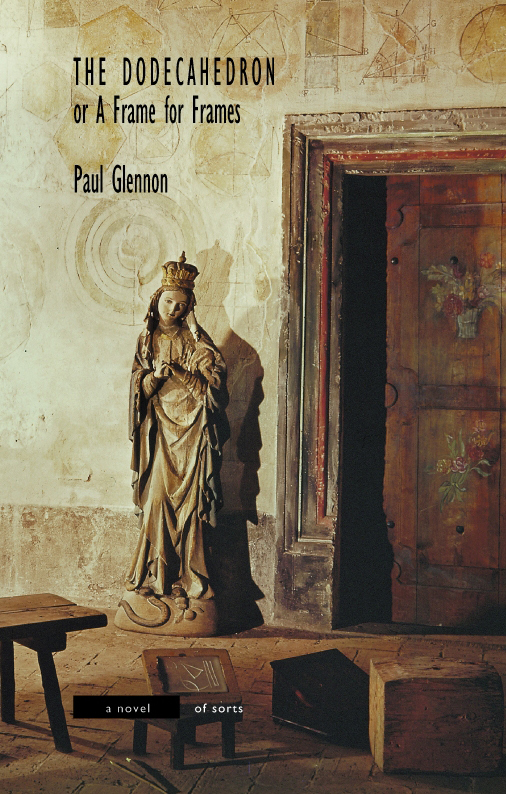 Paul Glennon, born in England but resident in Ottawa since 1975, has been published in Descant, Matrix, Canadian Fiction Magazine, and the Blue Penny Quarterly. 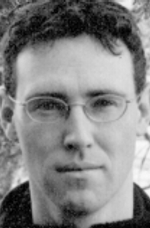 He has an MA from the University of Ottawa and currently works as a Human Factors specialist -- which means that he attempts to encourage software to work the way humans expect it to.